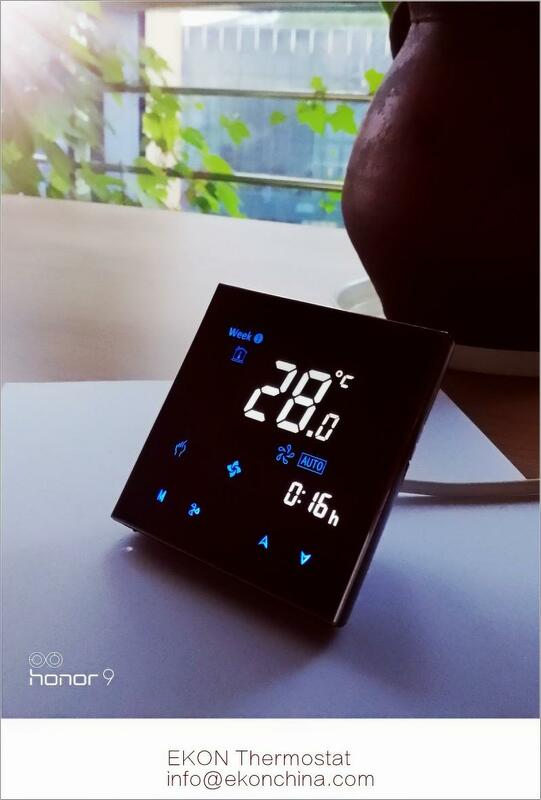 Arcobalecno designTH-701series thermostat is a mirror touch screen colorful display room thermostat. 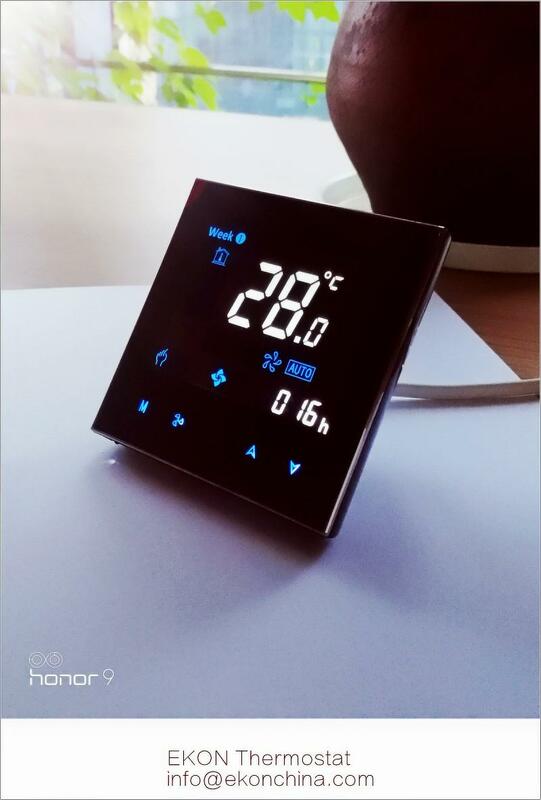 Used as controlling floor electric heating or water heating or water/gas boiler system open or close. 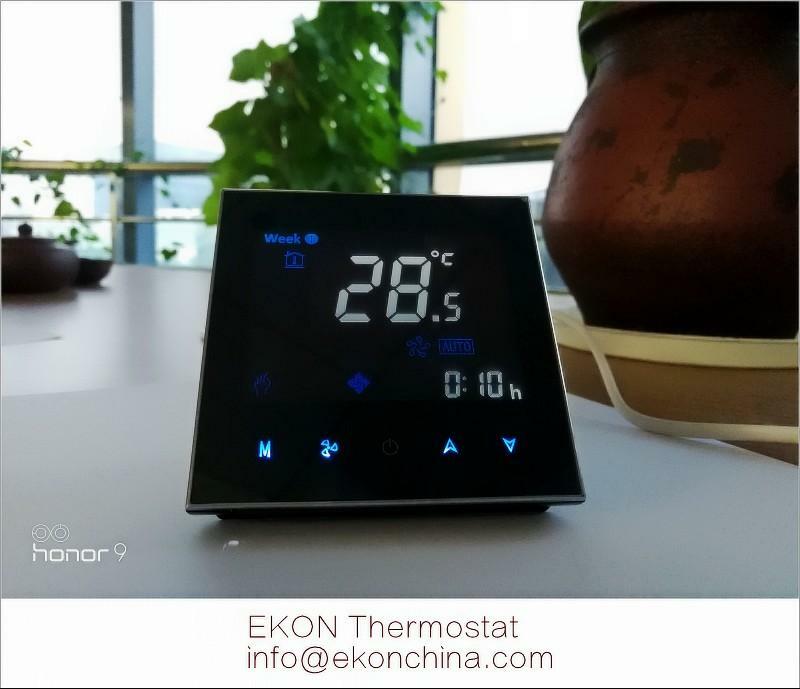 The thermostat is used in the commercial, industrial, hospital, hotel, hotels, civil buildings and villas for the heating control. 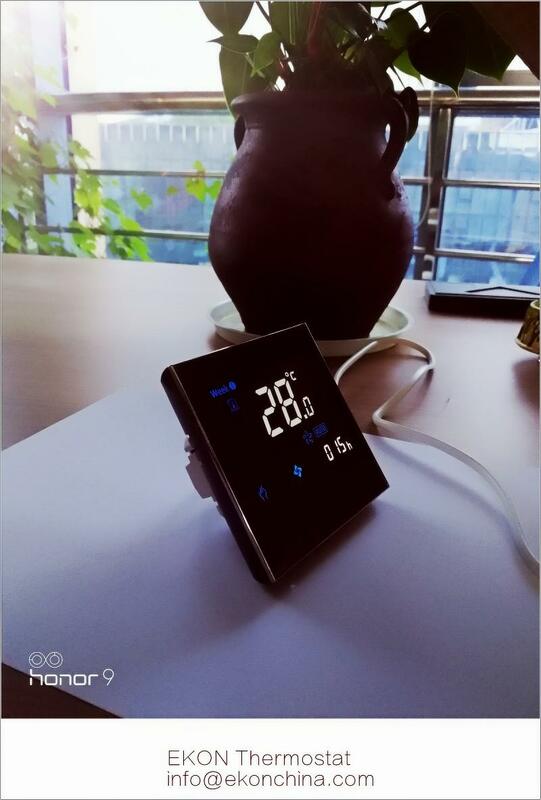 1.Black mirror screen with colorful displays.